Though not a member of SEATO, the Republic of Korea began sending combat troops to South Vietnam in 1965 in response to President Johnson’s call for assistance from 'many flags'. Paid substantial sums by the U.S. for their military commitment, the RoK deployed over 300,000 men during the war, divided between Army (including Special Forces) and Marine Corps units. 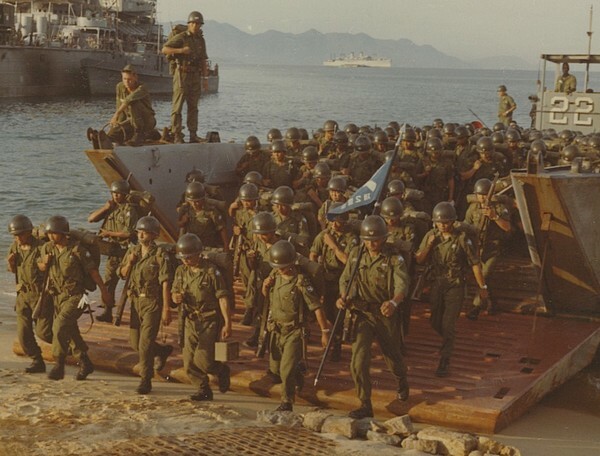 The 'Blue Dragon' Marine Brigade was assigned to Quang Nam province in I Corps, whilst the Army units were located in the II Corps coastal provinces of Binh Dinh, Phu Yen, Khanh Hoa and Ninh Thuan. Though these forces began their withdrawal in 1971, approximately 38,000 RoK troops remained in country until the peace treaty was signed in January 1973.